A few days ago, in my blogpost about getting to know your characters, I mentioned the concept of Goal-Motivation-Conflict (GMC). Today, I’d like to share an article not about your characters goals, but about yours as a writer. We’ve always been told to have goals, right? “Keep your eyes on the prize,” the motivational speakers say. But here’s the thing: a new study shows those very goals may be what keeps us from achieving them. The article goes on to offer more evidence, and it’s well worth reading. It also supports all those writers who say that you have to write for the joy of writing, as well as all of those “do what you love and the money will follow” folks. I’ve always believed that passion shines through the work, no matter if you’re a writer, an artist, or a clockmaker. If you enjoy what you are doing, you’re going to do it better. Likewise, if you’re just doing it for the money, or the fame, or whatever, it’s not going to shine much at all. But I’ve also always believed that it’s important to stay focused on your goals—until today. What do you think? 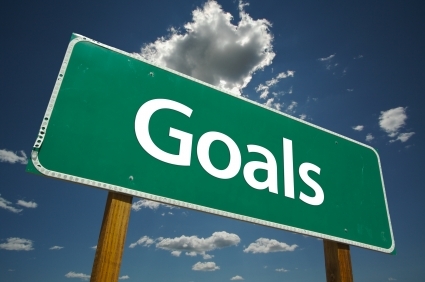 Are goals critical to your success, or do they hold you back? Excellent post, Dave. I think this will help me a lot with some things I need to work out to get my productivity to where I want it to be. I think my goals are definitely holding me back right now. Also, the “Inner Argument” article was incredibly helpful. I definitely have some inner monologues that need to frak off while I’m in writer-mode. Thanks, Lauren! I thought both pieces were a bit eye-opening. I’m glad you found them helpful! I’ve found that focusing on a set word count or on getting characters from point A to point B increases my productivity (i.e. just writing more) but causes me to miss out on creative opportunities. I feel like I don’t get as deep into a scene or description if I’m just slamming out words to get the characters to the next plot point. There are times where I wake up from ‘the zone’ and realize I’ve become totally engrossed in the writing process… this doesn’t happen if I’m constantly glancing at word count or the clock. So, in relation to the article, I’ll try a pre-writing mantra about enjoying the experience and hopefully bring the right self to the table 🙂 Thanks for the post! I totally agree, John. About the only way I get anything done is if I’m on deadline, but my creativity suffers. But deadlines are just another type of goal, so I guess that makes sense. You are currently reading Your Writing Goals May Be Holding You Back at Kicking the Pants.